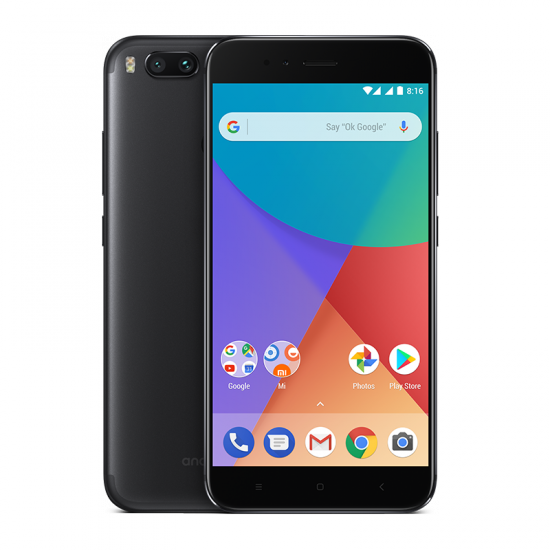 … are some of the key features the Xiaomi Mi A1 brings to the table, all for under ₦100k. 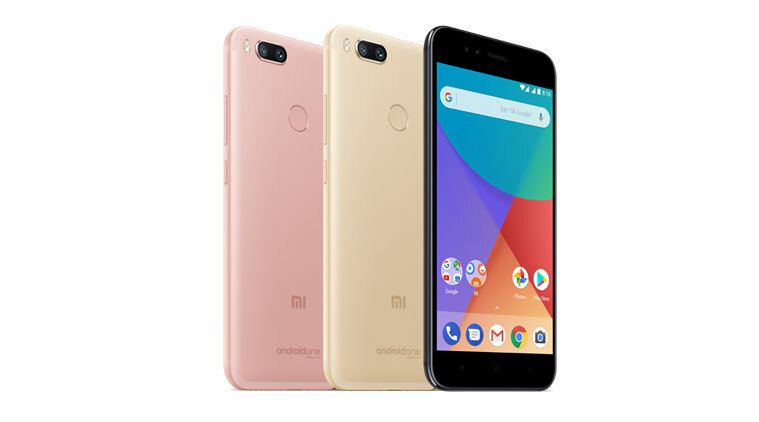 The Xiaomi Mi A1, launched in the third quarter of 2017, is an LTE-enabled dual-SIM smartphone running on Android’s version 7.1.2 (Nougat) right out of the box. And thanks to the fact that the smartphone is an ‘Android One’ device, you’d be getting stock Android on purchasing this device. What you’re seeing a device crafted with metal having a thickness of fewer than 0.75 centimeters with a camera bump at the back. Available in black, gold and rose gold, the Mi A1 features a 5.5-inch LTPS IPS touch display having a 1080 by 1920-pixel resolution resulting in a pixel density of about 401 pixels per inch — 401 PPI. Within the device sits a Qualcomm SoC. 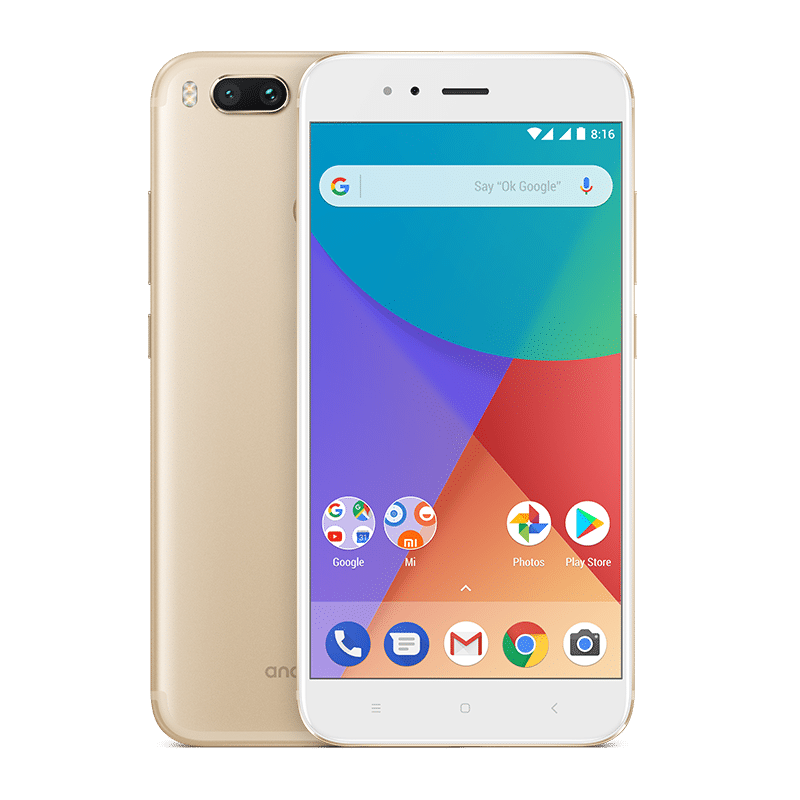 The Xiaomi Mi A1’s performance is handled by a 2.0 GHz Octa-core CPU (Snapdragon 625) and an Adreno 506 GPU. To take care of concurrently running applications, the device sports 4GB of RAM and for storage of multimedia and documents, the Mi A1 ships with 64GB onboard storage. 64GB too small for your storage needs? You can also throw in a memory card (capacities up to 128GB) to expand the storage space. Just know that the card would consume one SIM slot. For snaps and selfies, the Xiaomi Mi A1’s 5-megapixel front-facing shooter which supports 1080p shots would be up to the task. And as stated in the introductory part of this piece, the primary shooter on this device is a dual-camera setup. A dual setup having two 12-megapixel lenses and support for 4k video shots at 30 frames per second. Security-wise, you’d be relying on the fingerprint sensor Xiaomi mounted at the back of the device, and for power, the Mi A1 features a generous 3080 mAh non-removable Li-Ion battery within its chassis. The Xiaomi Mi A1, would not be ‘officially’ available in Nigeria but can be picked up online for between ₦90,000 ($245) – ₦110,000 ($290). How cheap you get the device depends on the store you’re purchasing from. 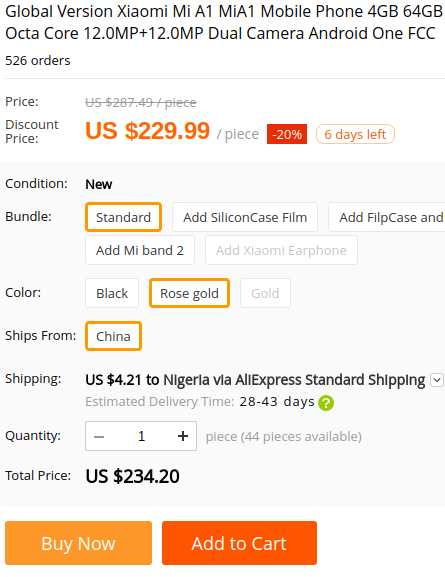 Then there’s always the option of getting it on Jumia (albeit more expensive) if AliExpress isn’t your thing.